The Gigantic Series Godzilla 1999 is the third addition to X-Plus' sub-series, the Yuji Sakai Modeling Collection! It was sculpted by said master monster maker, Yuji Sakai and is based on his unused maquette design that he made for the 1999 film Godzilla 2000: Millennium. Despite it being unused, the design is still widely popular among fans and collectors. 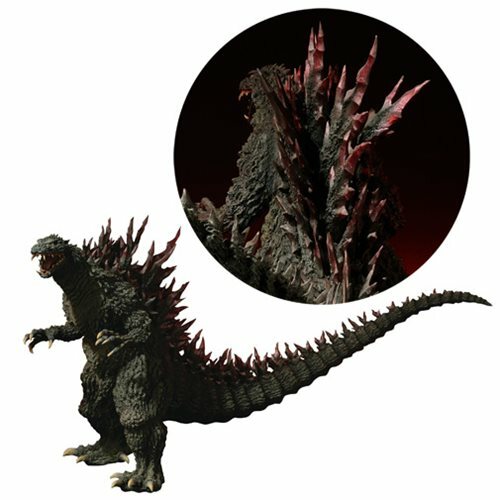 The overall sculpt is highly detailed and he stands over 14" tall making for an incredible addition to any Godzilla collection!